Now that the Amazon marketplace is a mature ecosystem there are many supporting services to help your Amazon selling business. 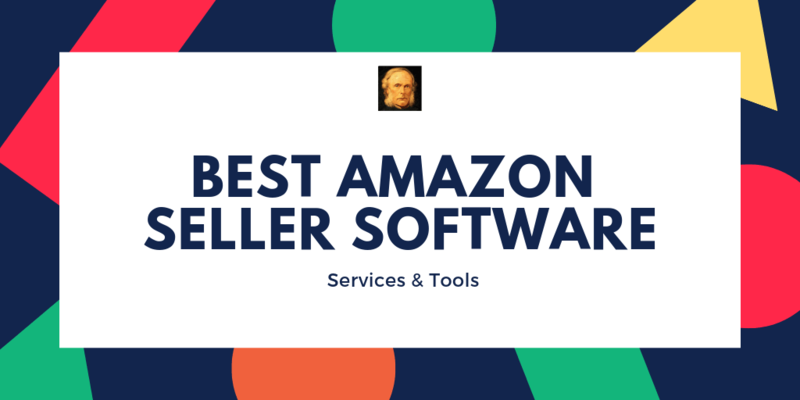 Instead of an exhaustive list of every Amazon software tool, this post focuses on only the best Amazon tools for a wide variety of Amazon seller challenges. This is an updated roundup of Amazon seller tools for 2019 and we will maintain this post as new services emerge. Shopkeeper tracks your Amazon Sales and automatically calculates your profit margin. Shopkeeper pulls in all Amazon Fees, including Storage fees, FBA fees, various service fees, PPC costs, and more to make sense of your overall Amazon business profitability. Having a good cashback deal on a credit card can make a big difference in your profit margin. Extra advantages like this are something smart Amazon entrepreneurs consider. Payability has special benefits considering they are focused on Amazon sellers. They provide Amazon sellers with daily cash flow, capital advances and the Payability Seller Card. If you have a successful Amazon business, eventually you may become a target of ruthless product hijackers. 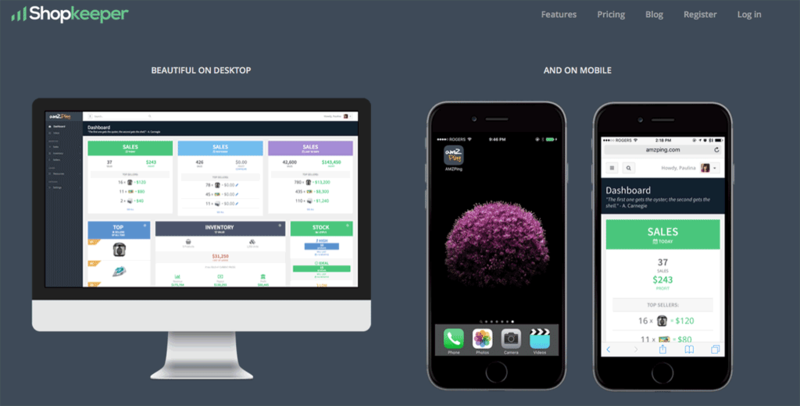 AMZAlert allows you to respond instantly to scammers, hijackers, bad reviews, and more. Getting feedback on your Amazon products is a vital step to improving your product line. We also know that more product reviews usually means more orders. So facilitating both of these boosts your Amazon business. There are plenty of ways to find freelancers, but if your freelancers are vetted as being “Amazon smart” — all the better! If you have a high-volume Amazon selling business, dealing with refunds manually can be a backbreaker. You need to make sure you are not over-charged by Amazon in these situations. 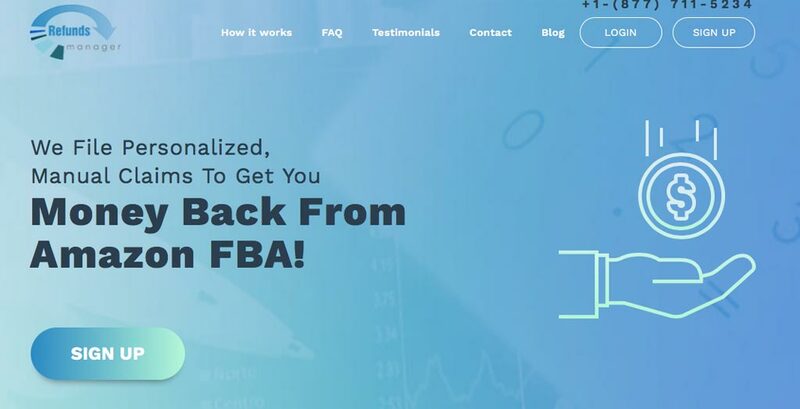 Refunds Manager handles this for you charging a percentage on money they save — a win-win for your Amazon FBA business. This may seem like a curious service to include within a list of Amazon seller software, but Amazon arbitrage can be another profit center for your business. PriceYak makes it so easy to profit from market inefficiencies — you may even feel guilty about it. There are many Amazon seller tools that help with market research, but Jungle Scout is a favorite Amazon research service. There are many Amazon suite software services that offer Amazon business intelligence tools as part of their suite. Amazon software suites such as Helium10 look to be especially powerful and help with Amazon market research. We are familiar with thinking about SEO in terms of the general web but tracking Amazon keywords is also something to consider. Smart SEO within your Amazon listings will make you more money. If you are looking for a digital marketing agency to manage your Amazon product content, Content26 is an agency that focuses on helping Amazon sellers. Smart spending with Amazon’s sponsored products listings can help your bottom-line. CapX promises to help optimize your Amazon ad spending. If your Amazon product listings are optimized, it helps your products show up more frequently within Amazon searches. Splitly promises to help with your Amazon CRO. When you have a new Amazon product offering, the better the initial Amazon product launch the quicker sales & reviews start creating vital momentum. Viral Launch specializes in this process. Amazon advertising can be an important edge over your competition, but you must spend wisely to avoid wasting precious dollars that could be spent elsewhere. RestockPro captures your Amazon FBA data and transforms it into inventory intelligence. They create POs for your suppliers and inbound shipments to Amazon. When making new orders with suppliers in China, it is smart to ensure that you get what you paid for. If something is off with your inventory, you want to know before shipping to customers from your Amazon FBA business. Smart Amazon sellers spend a careful time optimizing product listings with great photos. If you are too busy or just do not have the knack for this…AsteroidAim can help. Great photos for your Amazon product listings will help drive more sales. You can mail your products to SellerPhoto to have professional photographers get glamour shots for your Amazon product listings. 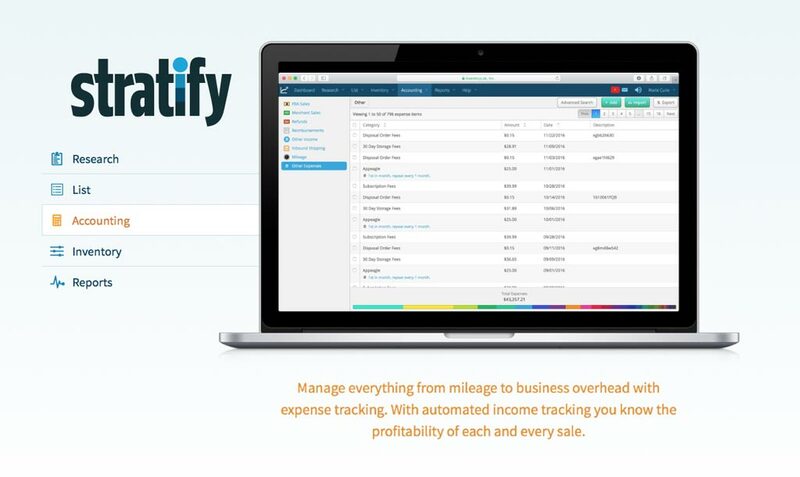 Using Stratify to list your Amazon FBA products makes the process easier and saves time in printing your labels. 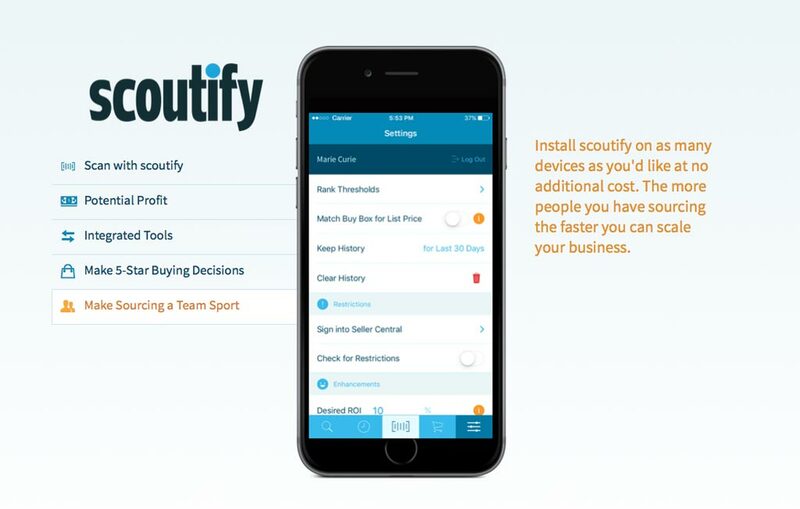 The other cool thing is that your monthly fee for InventoryLab also gives access to another leading Amazon seller tool, Scoutify (also listed in this post). 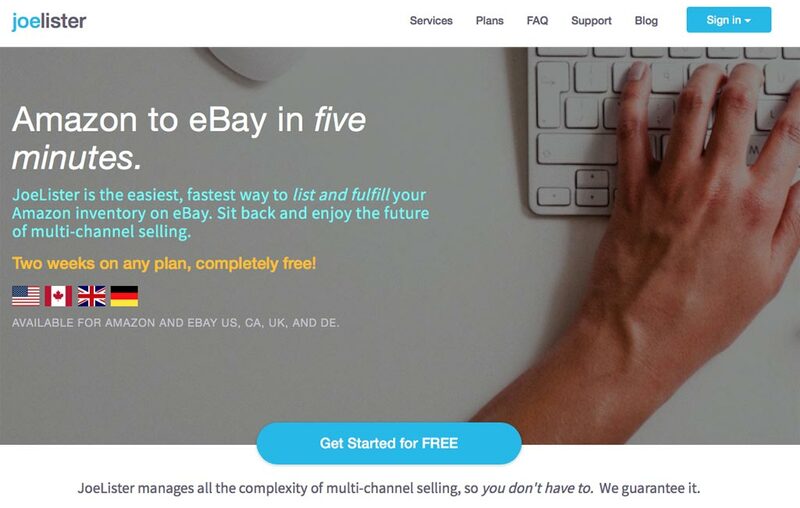 What if you could also have your Amazon product listings also for sale on eBay? JoeLister makes this easy and seamless. Just connect to your Amazon account, decide what you want to sell on eBay and JoeLister handles the rest. Quantity syncing and order placement are all handled for you like magic. You will sell more and JoeLister helps dump Amazon FBA inventory that is not moving quick enough. If you are doing retail arbitrage or hitting book sales for your Amazon FBA business — you need a scanner app. Scoutify makes it easy to avoid buying products that are slow movers or just not profitable enough after Amazon fees. Obviously pricing is a huge factor for many of your Amazon customers so getting pricing right is crucial. But what if you have thousands of products? That can be impossible to keep things in check. Feedvisor promises that their repricer adapts to your inventory levels and competition in real-time. Keeping up with sales tax is a chore even for smaller Amazon sellers. There are other eCommerce tax helpers out there, but TaxJar feels like the industry standard at this time. Believe me…lawsuits happen and buying some peace of mind is never a bad thing for an eCommerce entrepreneur. If you need legal help with your Amazon business it makes sense to find a firm that specializes in Amazon selling. Amazon suspensions happen and if they do you need to resolve it ASAP. eGrowth Partners has resolved many cases for Amazon sellers and advertises an impressive 97% reinstatement rate. We all need accounting help and you may as well consider accounting software that plays nicely with Amazon. I hope you learned about an Amazon seller tool or service you were not aware of. Did I miss your favorite Amazon seller software service? Please let me know if you have recommendations. Hit me up at kevin AT zinc dot IO!